A black and white photo of a baby on a gray chair. He's barefoot and smiling wearing a romper. This photo was taken in Lenox MA. 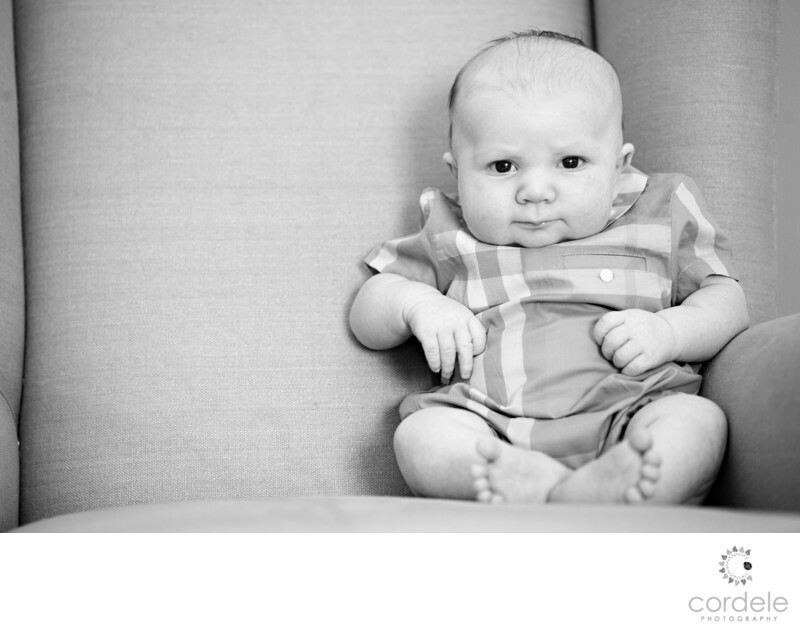 This was the couples first baby and they wanted the very best photos of their little guy. HE was only a few weeks old but was strong enough to sit up and lean against the chair.